Obesity has become a national epidemic, with ∼65% of Americans currently above ideal body weight (1,2⇓). It is widely recognized that obesity contributes to morbidity and mortality from diabetes, heart disease, stroke, and some cancers, yet the important role that it plays in progression of kidney disease is rarely mentioned. It is the goal of this Frontiers to raise awareness of the importance of obesity to chronic kidney disease. In each decade of the last two, the number of people with end-stage kidney disease has doubled, and it is estimated that 600,000 people will require dialysis treatment by 2010 (3). Moreover, it is estimated that 20 million people in the United States have either persistent proteinuria or substantial kidney damage (3,4⇓). Although these numbers represent all forms of kidney disease, hypertension and type 2 diabetes account for the largest proportion. Obesity is mechanistically tied to renal disease associated with hypertension and type 2 diabetes. 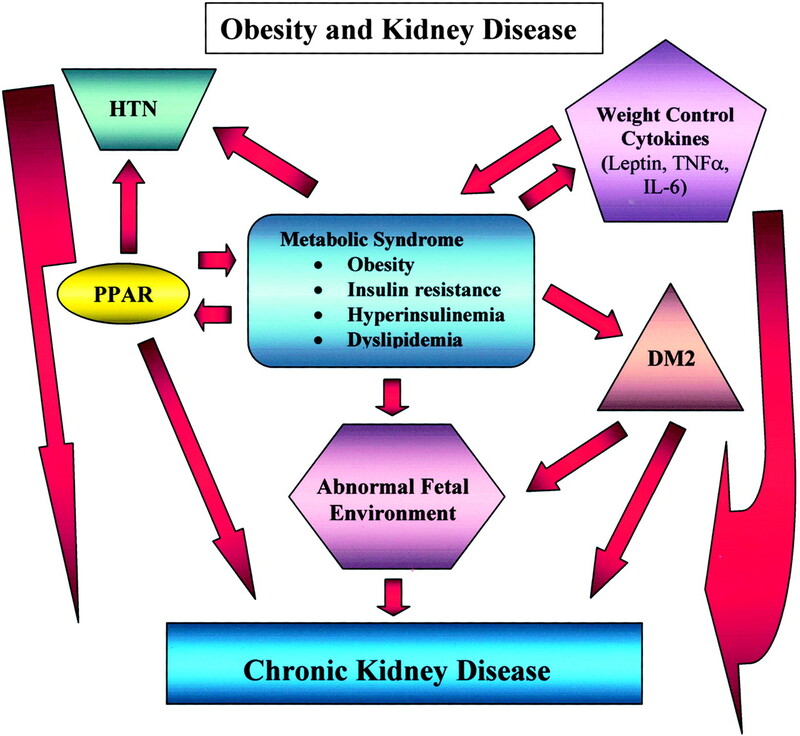 This Frontiers reviews several key aspects of the relationship of obesity to chronic kidney disease. Obesity is the phenotypic hallmark of the metabolic syndrome (also referred to as the dysmetabolic syndrome, the insulin resistance syndrome, and syndrome X), which is characterized by insulin resistance, hyperinsulinemia, and dyslipidemia. The metabolic syndrome contributes to the development of type 2 diabetes, hypertension, and cardiovascular disease (5). Concerns about the epidemic of obesity have fueled research. Considerable progress has been made in defining central control of food intake (6,7⇓), adipose tissue as an endocrine organ and the factors that is senses and secretes (8), and the feedback control between the central nervous system and fat that regulates body weight (9,10⇓). In addition to adverse consequences to the health of obese individuals, obesity during pregnancy has been linked to future risk for the development of type 2 diabetes and hypertension in the offspring when they reach adulthood (11,12⇓). Because this has such important implications for generations to come, understanding and preventing metabolic syndrome is of immediate importance. At the annual meeting of the American Society of Nephrology in November 2003, Randy Seeley and Barbara Hansen reviewed the central mechanisms that control satiety and food intake and the body’s sensing of adipose mass and weight determination in animals and humans (8,9,13⇓⇓). A large body of evidence convincingly concludes that genetic and epigenetic factors determine set points and that each of us is programmed to defend that weight. These data explain why it is so difficult to lose weight and why most individuals who do, regain it in a relatively short time, yet these data fail to explain the obesity epidemic. Why is the set point shifting? There is growing agreement that environment is driving the epidemic (2). Modern lifestyles encourage overconsumption of energy and discourage expenditure of energy. Minor (<100 kcal/d) gaps in the balance of energy consumption and expenditure lead to gradual but steady weight gain (2,8⇓). Although each of us has some control over the environmental aspects of our own life, our mother’s nutritional status influenced the establishment of our set point, and as obesity becomes more common, through this effect, it will have a growing impact on our children and future generations (12,14⇓). Thus, modification of this epidemic is crucial to health and to the development of kidney disease today and for the future. 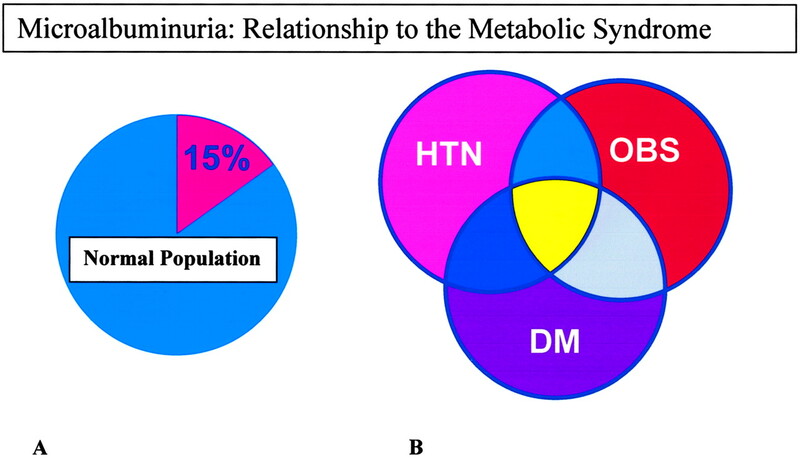 There are many pathways by which the metabolic syndrome, which is characterized by obesity, insulin resistance, hyperinsulinemia, and dyslipidemia, might contribute to renal disease. These relationships are outlined in Figure 1. Most reviews indicate that insulin resistance with the compensatory increase in insulin secretion is the fundamental abnormality of the metabolic syndrome. This concept is supported by studies of normoglycemic, first-degree relatives of individuals with type 2 diabetes who have insulin resistance and hyperinsulinemia (15), and in Pima Indian children, in whom insulin resistance precedes the development of obesity and diabetes (16). Because obesity also aggravates insulin resistance and both genetic and epigenetic factors have been implicated in the pathogenesis of the metabolic syndrome, there may be various primary defects that lead to its development. The contribution of dyslipidemia typical of the metabolic syndrome (elevated triglycerides, intermediate-sized LDL particles, and low HDL) to the development of progressive renal disease has been reviewed extensively in other settings (17–21⇓⇓⇓⇓); thus, although very important, it is not included in this article. For many years, it has been known that obesity is associated with focal and segmental glomerulosclerosis, yet the degree of the association and its pathogenesis were unknown (reviewed in reference 22). Recently, its incidence has increased in association with increased obesity (22). There have been many clues that insulin resistance/hyperinsulinemia contributes to this association. Nearly 30 y ago, Stout et al. (23) first posited that hyperinsulinemia might contribute to vascular injury by stimulated smooth muscle proliferation in the media of vessels. In studies of rats with streptozotocin-induced diabetes, typical nephropathy develops only in those that have poor glycemic control and also are treated with insulin (24). Zatz and Brenner (25) showed that in contrast to insulin-deficient animals, insulin-treated diabetic rats have increased intraglomerular pressures and that angiotensin converting enzyme inhibitors reverse this effect and protect against glomerular injury (26). Kreisberg (27) showed that insulin sensitizes cells to the contractile effects of angiotensin II, providing the link between insulin and angiotensin II–mediated injury. Abrass et al. (24) showed that insulin treatment of normal rats was associated with glomerular hypertrophy, new expression of interstitial collagens, and glomerulosclerosis. Experiments of mesangial cells in culture confirmed the direct role of insulin in mediating the changes in extracellular matrix synthesis (28,29⇓). Recently, Cusumano et al. (30) confirmed a link between hyperinsulinemia and glomerular hypertrophy before the onset of diabetes in rhesus monkeys. Although treatment of diabetes with exogenous insulin is necessary to improve glycemic control, considerable data show that hyperinsulinemia can mediate glomerular injury. Thus, hyperinsulinemia associated with obesity may contribute to the growing rates of ESRD, despite the slowed rate of progression in individual patients through improved glycemic control. These seeming paradoxes may be resolved through new understanding of the mechanisms of induction and cellular consequences of insulin resistance. In this Frontiers, Susan Bagby (31) reviews the clinical significance of obesity and its contributions to the development of renal disease and strategies for management. 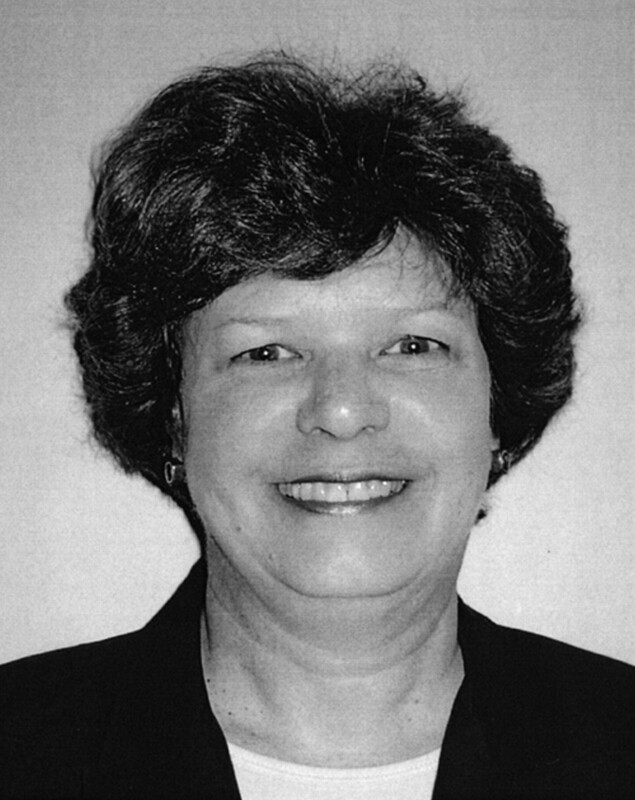 She briefly reviews new concepts related to fetal origins of acquired insulin resistance and the contribution to adult disease. Obesity-associated gestational diabetes influences pancreatic development in utero and the development of insulin resistance, hypertension, and type 2 diabetes in the offspring when they reach adulthood (12,32⇓) (Table 1). Growing interest in the environmental impact on the genome through epigenetic modifications will undoubtedly lead to new insights into the epidemic of obesity that the United States has witnessed over the past three decades. Brent Wisse (33) reviews the feedback loop between adipose tissue and the central nervous system that controls body weight regulation (34,35⇓). Cytokines that participate in feedback control, including leptin, adiponectin, angiotensin II, TNF-α, IL-6, and others, have been postulated to contribute to vascular injury and glomerulosclerosis (36). A commentary by John Sedor and Jeff Schelling addresses the specific application of these concepts to the kidney (37). This will raise potential avenues for future research to define the link between obesity and renal disease. The role of peroxisome proliferator-activated receptors (PPAR) in the pathogenesis of obesity and insulin resistance has received considerable attention. PPAR play important roles in regulation of cellular cholesterol and triglyceride metabolism with direct effects on insulin sensitivity (38–40⇓⇓). Not only can agonists of these receptors improve insulin sensitivity and aid in the treatment of diabetes, but also there is evidence that fundamental abnormalities in this system may underlie the development of insulin resistance and obesity (38,39⇓). Correction of these abnormalities has prevented the development of obesity and type 2 diabetes in animals. Agonists for these receptors, by modifying cellular lipid metabolism and direct effects on mesangial matrix synthesis, can prevent or reverse diabetic glomerulosclerosis (41–43⇓⇓). Youfei Guan (44) reviews the details of the role of these receptors in the metabolic syndrome and the kidney. Hypertension and associated abnormalities in the renin-angiotensin system have long been known to contribute to the rate of progression of renal disease. Recent data indicate that the subset of individuals who have hypertension, who are nondippers and have elevated insulin levels and microalbuminuria, are the ones who develop significant renal and vascular disease (45–47⇓⇓). The relationship of this risk to obesity and abnormalities in lipids, insulin resistance, and function of the PPAR system has recently been elucidated (48). In the final article in this series, Jim Sowers and colleagues review these relationships (49). How does microalbuminuria fit into this scenario? Is it a manifestation of the metabolic syndrome? It is well recognized that the presence of microalbuminuria in patients with diabetes predicts future development of overt diabetic nephropathy. There is also substantial evidence that this risk is genetically determined and has led to searches for a nephropathy gene. As careful studies have included normal populations, 15% of “normal” individuals have microalbuminuria. Furthermore, among hypertensive individuals, those with hyperinsulinemia have microalbuminuria and an increased rate of chronic kidney and cardiovascular disease (50–52⇓⇓). As shown in Figure 2, the presence of insulin resistance/hyperinsulinemia may define the subset of normal, obese, hypertensive, and diabetic individuals with an increased risk for developing progressive kidney disease. The presence of microalbuminuria may be a surrogate marker for insulin resistance and the risk for progression from any renal insult or injury. In the effort to identify individuals who are at risk for renal disease with early intervention to prevent progression, these relationships deserve further study. Obesity and its contribution to chronic kidney disease are of utmost importance to all of us. As nephrologists, we must face its contribution to the growth in our dialysis population. We must recognize the risk of obesity to future generations and particulate in strategies for prevention. The impact of the obesity epidemic and its consequences will likely touch us personally as we and the world population age. I acknowledge support from the Medical Research Service of the Department of Veterans Affairs and the National Institutes of Health.